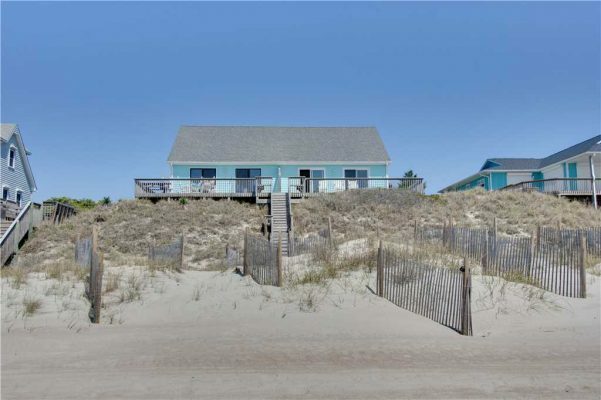 With spring in full swing and summer quickly approaching, now is the time to lock in your next Emerald Isle beach vacation.  Summer is truly a great time to take a vacation and after a look at this week’s featured property, Susie’s Hideaway East, you may find that now is a perfect time to book. 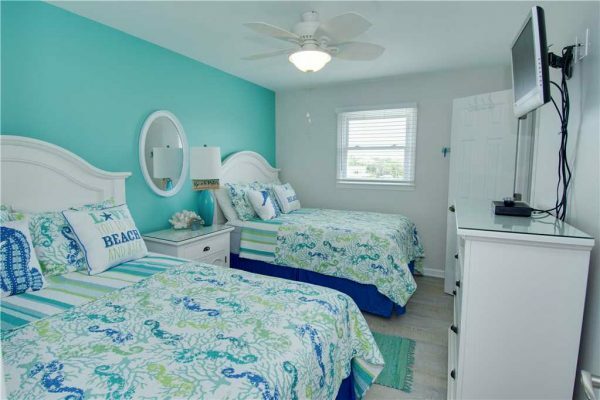 This three-bedroom, two-and-a-half-bathroom oceanfront vacation rental is ready to be your escape. 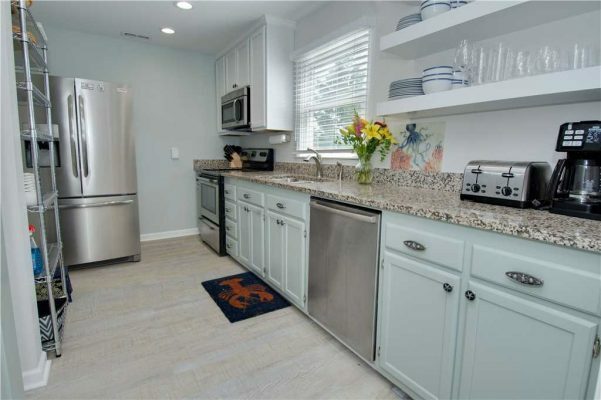 Susie’s Hideaway East was recently remodeled and features a completely new kitchen with granite countertops, new appliances, and spacious open shelving. The elegant design carries over to the perfectly decorated dining and living rooms where there is enough seating for everyone to find a cozy spot. However, the best feature of the room by far is the panoramic views of the ocean. 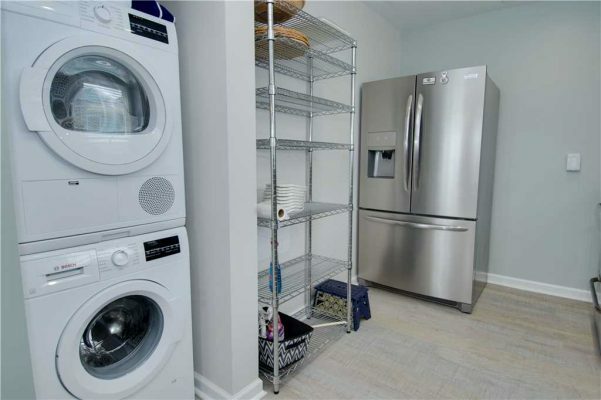 For added convenience, there is a laundry unit located on the main floor as well. 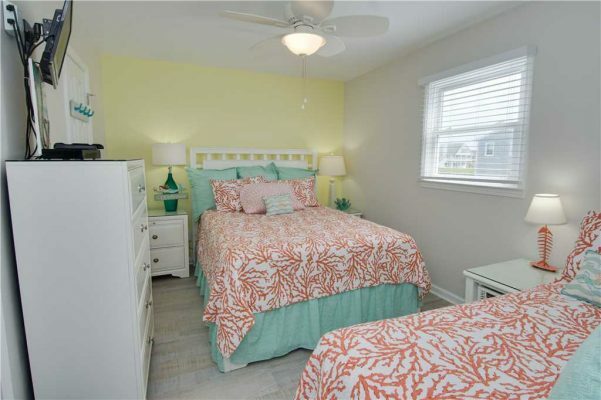 Upstairs, the bedrooms are bright and inviting while the main banister overlooks the main floor living space. The master suite, complete with a king-size bed, boasts nautical décor throughout the room and into the master bathroom. 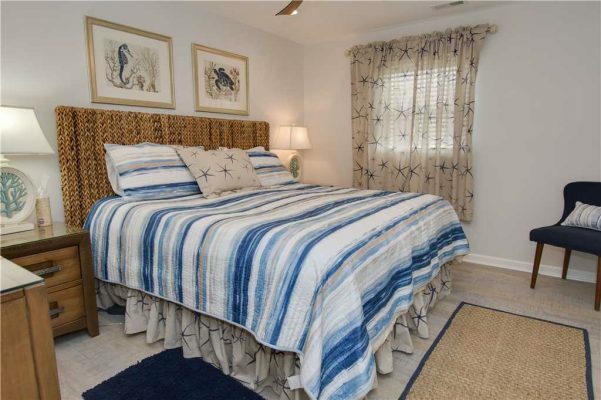 There are two other nautically-themed rooms on the second floor, one with 2 queen-size beds and another with 2 double-beds, and all three rooms have new flooring to finish off the home’s elegant design. The outdoor space at Susie’s Hideaway East is equally as stunning as the inside. 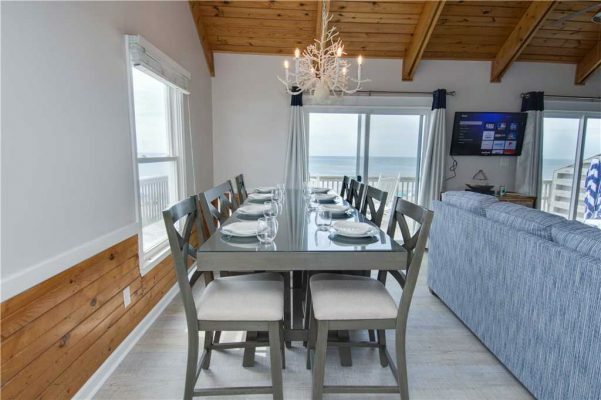 Guests will step out to a large deck with plenty of comfortable furniture to relax on and enjoy the ocean breeze. The views at this property are especially unique since they are entirely unobstructed for 2 miles to the east and west, a rare find for many properties this close to the beach. A charcoal grill is also available to use if you’re looking to show off your grilling skills for family and friends. When you’re a guest at Susie’s Hideaway East, you’re staying directly on the beach and can easily make your way back and forth to the property throughout the day. 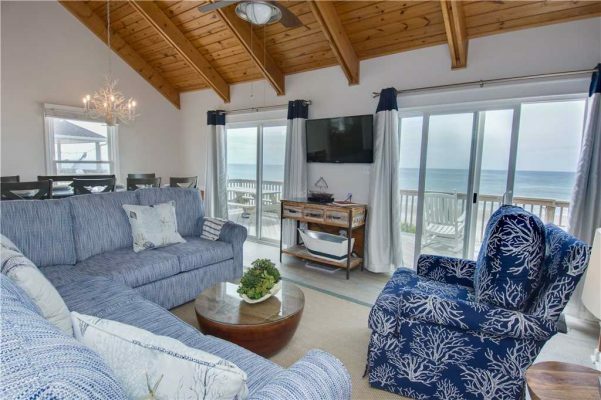 This property makes it easy to enjoy the coastline during your entire stay, making it ideal for families with kiddos intent on spending hours and hours splashing in the ocean and playing in the sand. That said, an evening or late-night stroll down the beach is a peaceful and perfect way to cap off the night. 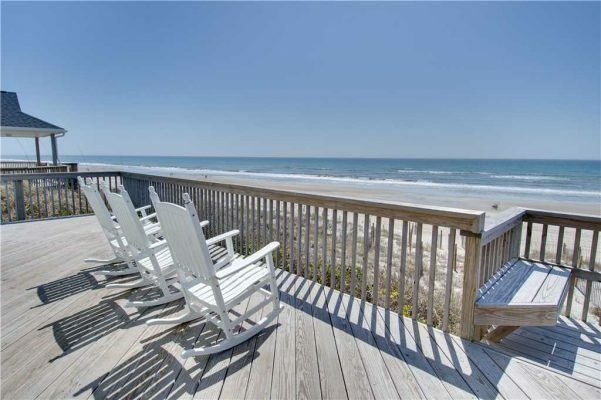 We know that most Crystal Coast vacations are all about the beach, and with clear blue water and soft sand, we wouldn’t expect anything less. To help you prepare and make the most of your time in the surf and sand you can take a look at the top beach hacks our expert beach-goers have provided. The proximity of the water is hard to beat, but Susie’s Hideaway East is also ideally situated for those looking for activities beyond relaxing on the beach. 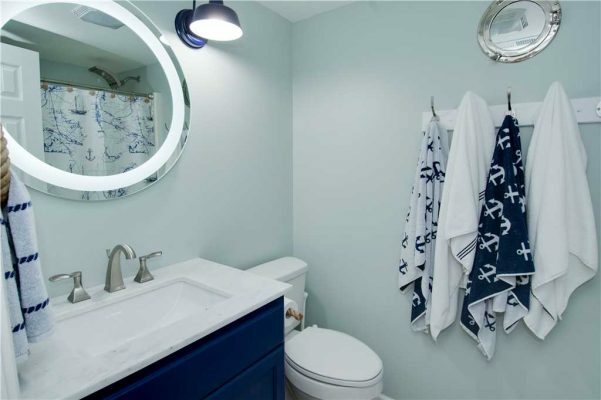 The property is located off Coast Guard Road and provides easy access to the Emerald Isle Bike Path, Emerald Isle Woods Park, and an abundance of delicious restaurants. Our quaint town also has one-of-a-kind shopping where you will find local charming boutiques and antique stores where you can find the perfect souvenir to take home. From antiques and jewelry to seafood and burritos, there’s a seemingly endless list of things to do, see, and eat during your vacation to Emerald Isle. 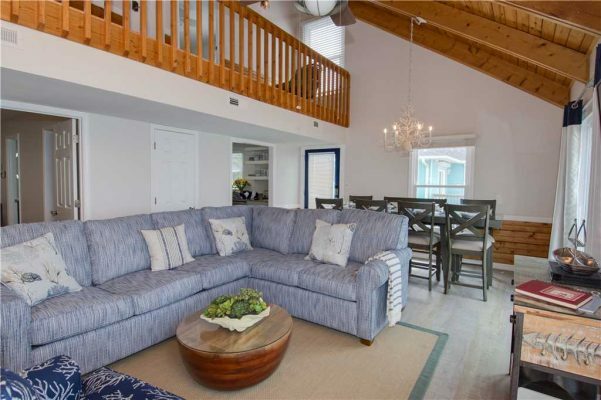 Susie’s Hideaway East is perfect for a family trip or a friend’s getaway that provides easy beach access, stunning ocean views and a close proximity to many Emerald Isle attractions. 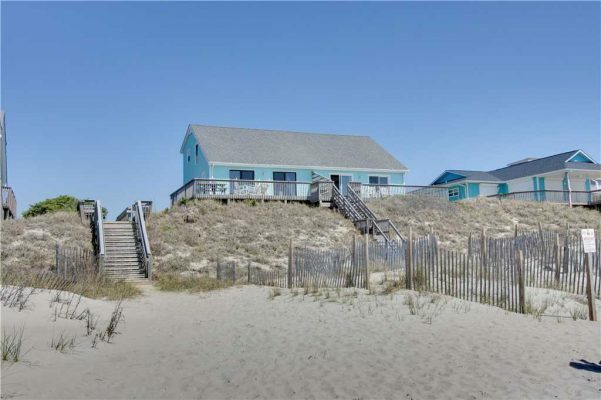 View more photos of this renovated property and check availability so you can make your way down to the Crystal Coast this spring or summer.